Remodeling and renovating with new plaster, tile and coping or a new vinyl liner for swimming pools can be so easy and less expensive than you might think! Beautiful pool finishes can be durable too! Swimming pools need updating and renovating for their plaster, vinyl liner, tile, coping and concrete decking from time to time. Just like your home decor, things change. For concrete or gunite pools new tile, coping and interior finishes can go a long way in making your pool look modern and up to date with very little effort. Brick or stone bullnose coping is much less expensive than ever before. Waterline tile selections are gorgeous these days. Interior finishes, such as pebble and quartz aggregates can enhance the look of your swimming pool to create your own unique taste and style. In most cases those three things can be completed in just three or four days! The cost can be as low as $10,000. For vinyl liner pools a new liner with the most recent full-color prints can be as little as $4,000. It’s time to enjoy your pool with a new look and updated appearance! Call our pool design professionals to assist in choosing the right finishes for your pool today! If you’re buying a home with a swimming pool, a pool inspection can alert you to potential safety problems and money traps. While a general home inspector may inspect your pool for you, it doesn’t hurt to have a professional pool inspector check out your pool. Research the Pool Builder. Some pool builders earn a reputation for good work, while others earn a reputation for poor craftsmanship. Check Google+, Yelp, and the Better Business Bureau for reviews of Maryland pool builders. (Side note: Check out the most recent reviews of Hohne Pools). Inspect While the Pool is Operational. Any inspector who claims he can inspect a winterized or empty pool is misleading you. A proper pool inspection is done when the pool is operational. If the pool is currently out of commission, prepare to spend around $500 to bring the pool online and re-winterize if you purchase in the fall or winter. You may be able to negotiate with the home seller to cover the cost of bringing the pool online. Check All Pool Systems. Your pool inspector should evaluate joints, ladders, diving equipment, pool covers, pumps, filtration systems, heaters, sanitizing system and other components. This is why a pool needs to be operational during the inspection and why a pool expert is better than a general home inspector. Get a Written Inspection Report. A few hundred dollars for a pool inspection report is a small price to pay for piece of mind when buying a home. Nothing is worse than signing a mortgage, only to discover serious problems when opening your pool in the spring. A written pool inspection report ensures any issues are documented when negotiating with sellers. If you’re buying a home with a swimming pool, contact Hohne Pools. We’ll help you identify potential issues before the sale and get the pool ready for swimming after the sale. You can reach us at 410.668.1300. It’s been a rainy spring in Baltimore, and with summer storm season coming, many pool owners are curious how to prepare a pool for summer storms. Rainwater itself doesn’t seem like that big of a deal, but flooding, wind, debris, and falling trees all pose risks to swimming pools. Here are four tips for storm-proofing your pool this summer. Believe it or not, the water in your inground swimming pool actually protects the finish from damage caused by flying debris. Moreover, most pools have built-in overflows that drain excess water, preventing a flood from occurring in case of heavy rain. Although this should give you plenty of backup, you can slightly lower your water level by no more than two feet to be sure. Any more could increase hydrostatic pressure, causing your pool to actually dislocate from the ground costing thousands in pool repair. They say the best cure is prevention, so save yourself some time and money in the post-storm cleanup process by limiting potential hazards. Before the storm, stow all outdoor furniture, grills, pool toys, and other loose items in a storage shed or inside the house. Heavier items should be fully covered and tied down whenever possible. After you’ve gathered up plenty of candles and flashlights for backup in case of an indoor power loss, be sure to protect the outdoor pool area from dangerous power losses as well. Luckily, Maryland ranks pretty low in total energy consumed per capita (256 Btu in 2010), but there’s always something more homeowners can be doing. Turn off the circuit breaker powering the pool heater and lighting, remove the motor, and disconnect propane tanks, electrical systems, and gas systems. Make sure to have a generator on hand in case of emergencies after the storm. Again, prevention is key to avoiding disaster. So if you’ve got some long-overdue pruning to do, right before a big storm is the perfect time to finally get it over with. Trim shrubs and small branches on your own, but make sure to contact the pros for more complicated limb removals. This time last year, a destructive derecho caused $19 million in damage and massive power outages for the state of Maryland, and this year we can’t take any chances. You might not be able to control the weather, but these simple precautions to prepare your pool for summer storms can keep your pool and your home safe. Check out our “Pool Maintenance” page for more tips on how to prepare a pool for summer. Opening a swimming pool is a rite of summer. Nothing signals the arrival of warm weather like removing the pool cover and getting your swimming pool ready for a summer of fun, exercise, and entertaining guests. 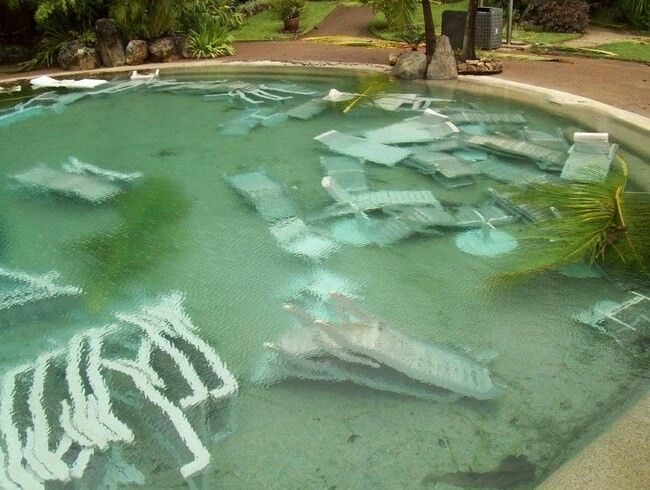 And nothing ruins the joy of swimming like tragedy on the water. Hohne Pools strongly encourages pool owners, swimmers, and non-swimmers to practice pool safety. Drowning is a serious matter. This infographic from LifeguardHub.com reveals some sobering facts about drowning: About 10 people drown every day in the United States. Drowning is far too common among children. Men are 3x as likely as women to drown. In many cases, alcohol is a factor in drowning deaths. Proper pool safety begins with responsibility. Let’s Get Serious about safe swimming. Who Swims Faster: Michael Phelps or an Indo-Pacific Sailfish? Memorial Day means its time to open your swimming pool! With swimming season around the corner, we thought we’d share this fun infographic from ZoologyDegreeOnline.com about two fast swimmers: Michael Phelps and the Indo-Pacific Sailfish. Which is faster? Michael Phelps is fast, but his record time of 49.82 seconds in the 100-meter butterfly (4.49 mph) is no match for the sailfish, which reaches speeds close to 70 miles per hour. Speaking of fast, the fastest way to open your pool for summer is to call Hohne Pools. We’ll summerize your swimming pool, perform cleaning and pool maintenance, and get you ready to enjoy the pool season. Visit our swimming pool maintenance page for Gold Medal service. 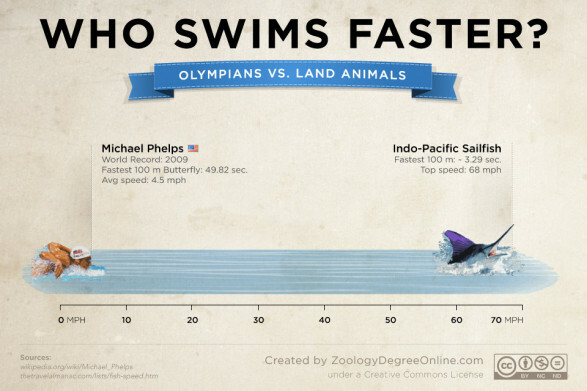 Animals Vs Olympians – Who Swims Faster? infographic by herrimanjoe.